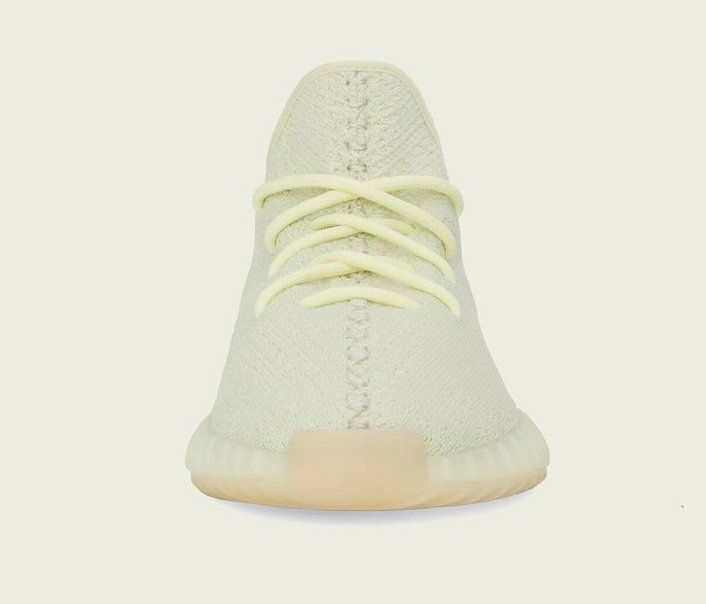 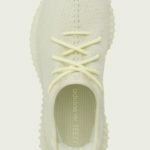 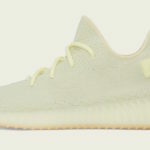 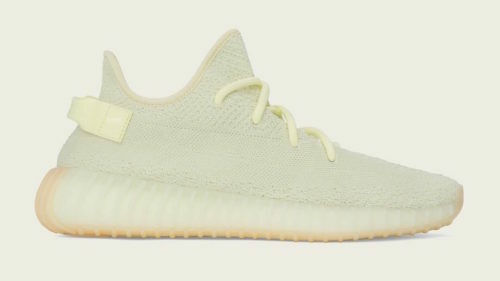 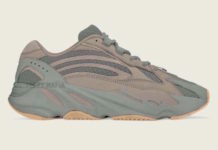 adidas Yeezy Boost 350 V2 Butter at the end of the month. 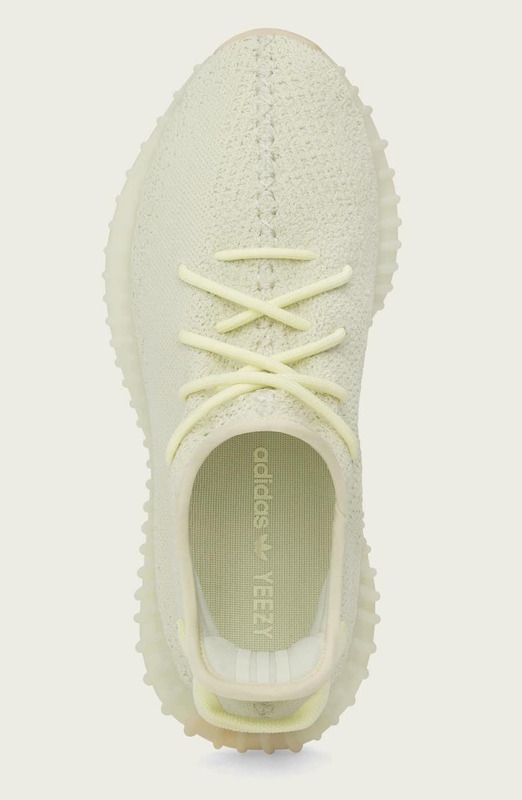 Featuring a clean new reversed Primeknit design covered in butter & cream white. 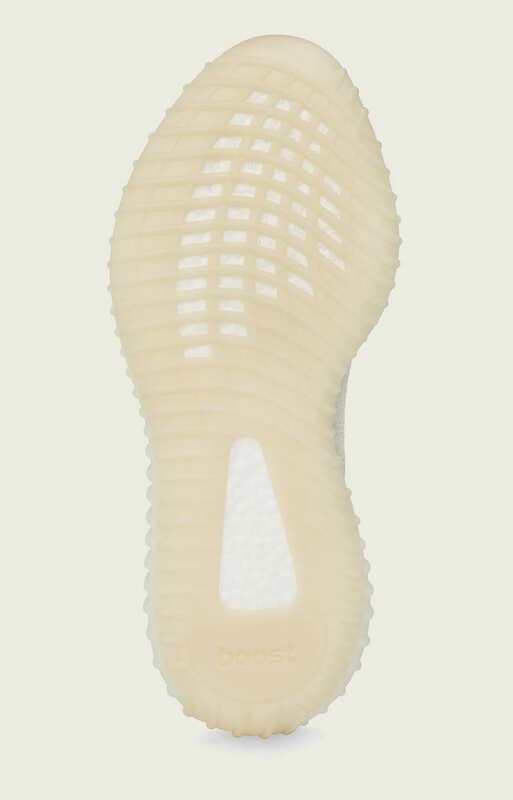 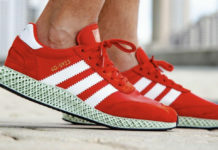 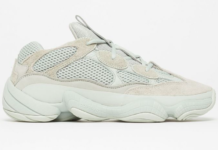 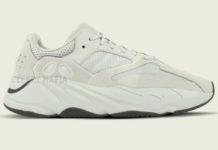 The signature SPLY-350 branding and stripe on the insole completed with the Boost cushioning, and semi-translucent ribbed outsole. 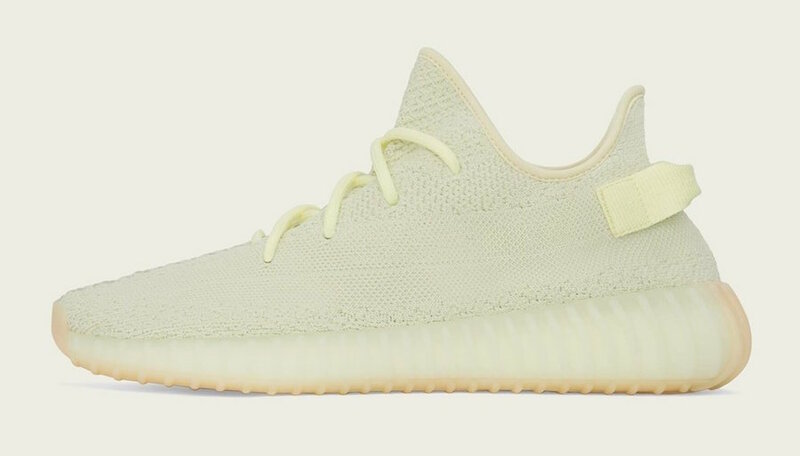 You can pick up the adidas Yeezy Boost 350 V2 Butter for $220 at select adidas stores and online starting June 30th.